Head on over to register your kid for the Lowe’s Kids Clinic on December 12th! Bring your child to Lowe’s and they can build this festive Train Engine! 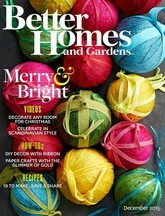 Free Better Homes and Gardens Subscription! Head over to receive your free 1 year subscription to Better Homes and Gardens Magazine. YOU DO NOT HAVE TO ENTER ANY CREDIT CARD INFORMATION! COMPLETELY FREE! Thank you FreeBizMag for this amazing freebie! If you don’t have a car and don’t live near public transportation, it can be difficult to get around! Luckily, there are lots of car service apps that you can download, so you can have a car at your door in a matter of minutes! Some are shared rides, some are private rides! Traditional car service can be hit or miss, and you might not always get a fair price! With these apps, you get a price quote BEFORE you request, so you can know! You also use a credit card, so it’s a CASHLESS transaction! How easy is that??? Get credits and FREE RIDES!!! !